Along with all of these things I hope to relive the whole community experience I enjoyed so log ago and have wished for for the past 13 years. Ditto, but with Benediction/Anathema and Vestments of Prophecy. I already posted my long term goals, however I did make a little milestone/guid list that I plan to work on for the first month that I saved in a little note pad document. At Level 43, take a break from the exp grind and level tailoring make shadow weave set. Simply to hit 60 and have fun along the way. I played a lot during vanilla, but loved leveling new toons so I only ever got to 42. It excites me that I'm this eager to level again, and also knowing that there's such a huge part of the game that I haven't experienced yet! My main goal is to have fun raiding in a active guild and all the nice chatting that goes along with a MMORPG. That will be done with my Warrior offtank main, and I won't stop until I at least got my https://classic.wowhead.com/item=19334/ ... amed-blade out of it. Going to be Blacksmithing, but not firm on Armor- or Axesmithing yet, probably gonna be a guild decision then, because Axesmithing might need a boost for https://classic.wowhead.com/item=19169/nightfall. https://classic.wowhead.com/item=15409/ ... prock-salt or https://classic.wowhead.com/item=14342/mooncloth for reliable income. Get to 60 slowly, get good enough gear to be able to hold my own in WPVP, then just roam around and enjoy the world. Maybe make myself a bit of a nuisance in contested zones. Regardless, I really want a good guild, full of friendly, mature folks who I can run stuff with. The S ocial aspect felt missing from WoW last time I played. My first goal.. actually pick a class to play. I was dead set on druid but I 'think' I would like to play another class this time around. -Get to play more spriest in PVE than i expect to. I've finally decided on my main, feels good! All of that on a one-evening-a-week schedule. Seems like a reasonable goal to me! A bit cheesy, but It's always been my dream to aquire https://classic.wowhead.com/item=17182/ ... f-ragnaros. Ever since I started playing paladin it has always been my goal to get my hands on this. Other that that I just want to experience everything Classic has to offer, eventually level all classes to 60 and try all specs. The goal is to truly finish Naxxrammas and have a T3 set on my main. Still unsure on what my main will be, but with conquering Naxx in mind, the natural face melter of mage is starting to appeal to me greatly. My main goal is to finally obtain Thunderfury on my paladin. It's been a carrot on a stick infront of my eyes for a long time. When I was tanking on Lightbringer I had all 10 Elementium bars ready to go and prio on the first pair of bindings to drop...For almost a year and half not a single binding dropped... Hopefully classic my luck will change! 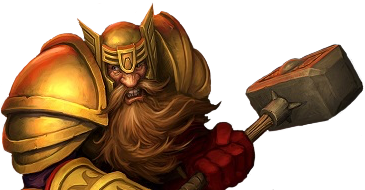 Get a warrior in full Tier 3 with Ashbringer, The Sword of 1,000 Truths, and that shield with the skull on it. Take Ashbringer into Scarlet dungeon and watch them all bow down and worship me. Grind every reputation to Exalted, raise all five professions to 300, and learn every Cooking and Blacksmithing recipe. Then get to work on my warlock. Fun fact: before BfA dropped, my main (a DK) was Exalted with every BC, Wrath, Cat, and Pandaria faction and the vast majority of Classic and Legion factions, had leveled all six of his professions to 800, and had every cooking recipe in the game except for the one that's supposed to be sold by Henry Stern in Razorfen Downs but which is unobtainable because Henry is AFK. Take Ashbringer into Scarlet dungeon and watch them all bow down and worship me. Considering - like your avatar indicates - you plan to roll Forsaken, this would be hilariously nonsensical from a lore point of view. I'm just stoked to be up on stuff while it's current. I was never on top of things in Vanilla and didn't even hit 60 until just after BC. My only goals are to get High Warlord and make epic pvp videos! If you recall, Mr McAnus, they were levelling through boars because someone kept ganking them. In this case I would suspect it would be Kor Kron keeping you in a graveyard 24/7. As some have already said, I think my primary goal is to make and be part of a community of people that play and have fun together. Been playing single player wow long enough..
That said, I do want to take my druid all the way in pve and eventually someday get Atiesh, Greatstaff of the Guardian! It'll likely take forever, but I'm in no rush, and I'll be playing Classic for years and years..
Do all the dungeons while leveling at least once, level fishing to 300 and hopefully get Rhok'Delar. Some other things I'd love to get my hands on is all the STV fishing contest rewards and a full set of T2. I feel that! I made too many alts in Vanilla. My first goal is definitely to get my first character to 60 before rolling an alt. (Apart from a bank alt of course). I also played too much solo WoW. Unless it was IRL friends, i pretty much kept to myself. I'm definitely looking to push myself and get into a guild early to socialize. So those are my main goals. 1. No alts before 60. 2. Guild up and socialize. Not too lofty. Once phase 2 and PvP really kicks off, the list will probably change a bit. He...he wants to molest Kobolds? 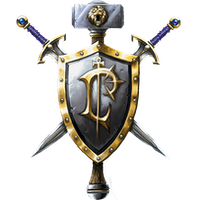 Any unknown elements of Classic that may affect your faction or race?